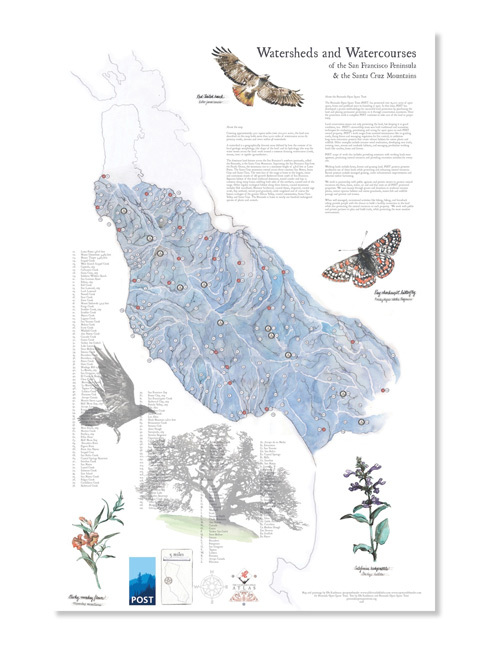 Download your copy of the “Watersheds and Watercourses” map from local artist and author Obi Kaufmann. By providing your email address you will receive monthly email updates about our work, digital guides, event information and stories that keep you connected to POST. You can unsubscribe at any time.